The startups originate from 7 different countries and are developing new, sustainable ways to generate and save energy. 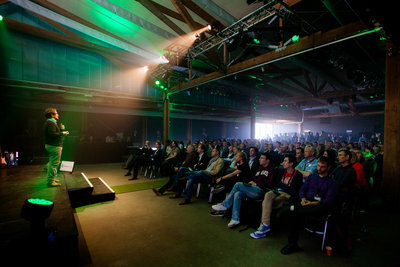 The 6-month program takes place at Rockstart Spaces in Amsterdam. Rockstart is proud to present the startups that have been selected for the 2015 edition of the Smart Energy Accelerator program. For the next 6 months these 9 startups will receive all the support they need to realize their ambitions and make new ideas come to life in the complex energy industry. The program opens up new networks for the startups and connects them to investors. The startups also receive support from over 60 experienced mentors that are there to help them grow their company faster. The startups originate from 7 different countries and are developing new, sustainable ways to generate and save energy. 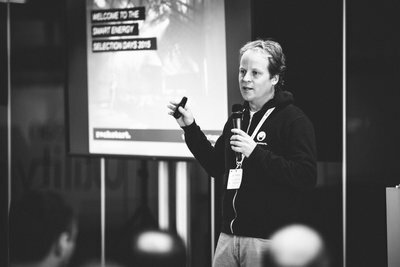 Rockstart is proud to present the startups that have been selected for the 2015 edition of the Smart Energy Accelerator program. For the next 6 months these 9 startups will receive all the support they need to realize their ambitions and make new ideas come to life in the complex energy industry. The program opens up new networks for the startups and connects them to investors. The startups also receive support from over 60 experienced mentors that are there to help them grow their company faster. One of the main goals of innovation in the smart energy sector is to enable people to take the generation of energy into their own hands, in a sustainable way. That is not only more friendly to the environment and (usually) cheaper; eventually it also has the potential to make us independent of energy suppliers abroad or from big corporations. 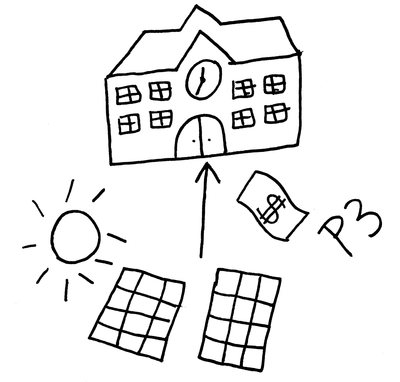 To make it easier to generate energy within your own community, P3 from the UK makes it possible to crowdfund solar panels on community buildings, such as sports facilities and local schools, without having to pay for it. All you need to do is switch to another energy supplier or renew your contract with your current provider. Masar from Finland and Wirewatt from Mexico both strive to bring solar panels and reliable energy networks to countries that lack the means to provide energy in a stable and sustainable way. They do that by matching small, local projects to investors in sun rich countries like Egypt and Mexico. If we start generating our own energy, new challenges will arise. It can, for instance, happen that excess energy is being generated at times. 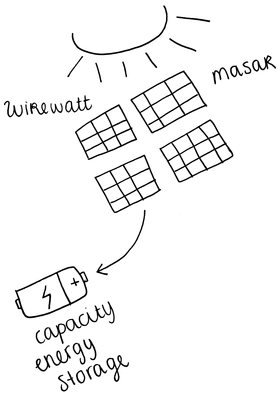 Dutch startup Capacity Energy Storage is therefore developing a comprehensive way to store energy that allows local producers to sell excess power to bigger networks or save it for later. Besides generating clean energy, one of the goals of the smart energy sector is to make sure energy is used in a smarter, more efficient way. A number of the startups are focusing on giving users relevant insights into their energy consumption, as well as showing them how they can use less energy in a convenient way. By doing so they can save money and make a positive impact on the environment. Viridom (from Cyprus), for instance, is developing an app that gives people insights into how much energy they're using on. It tells them what they can do to save money and energy by making small adjustments to their lifestyle (like turning on their washing machine at a different time). At the same time it gives utility companies the right data to better match supply and demand for energy. It's not only about how you use your appliances, though. 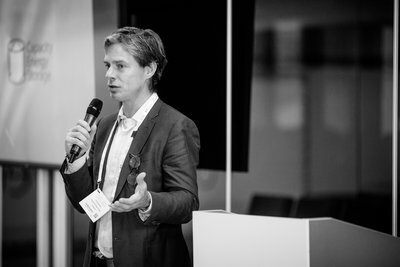 Bleeve, another Dutch startup in the program, is developing a platform that allows you to assess your home and what to change about it to save you the most energy. All you need to do is answer a few basic questions about the building, taking away the need to have an expert come by your house to assess it. On its platform Bleeve then gives you advice on which measures would work best for your home (think about solar panels or double glazed windows) and connects you to quality suppliers in your area. Once you know what you're looking for the next step is to find the right supplier. Entelligo gives suppliers the right tool to see what the impact of their systems will be on your usage so they can tell you exactly what you can expect from it in terms of energy usage and profits. Imagine that your lights would switch on as soon as you opened the door. 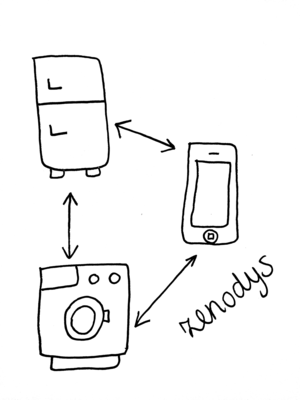 Or that your washing machine would automatically turn on at times when energy is cheapest. These are examples of things that Zenodys makes possible. They connect different appliances and devices in one platform, which makes it easy for inventors of new 'Internet of Things' applications to make their ideas come to life. Finally, energy can also be saved by changing the way buildings are constructed. Finch Buildings creates buildings that are sustainable and you can move, expand and stack them- It’s truly flexible real estate. 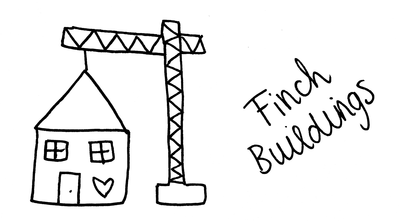 All you need to do is plug the buildings into a water- and power supply. They are made of sustainable materials that can be recycled and the modules can be easily reused. 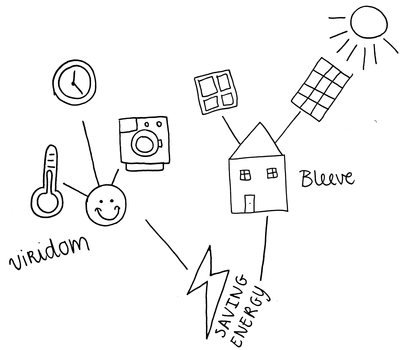 - Bundles makes it possible to use sustainable appliances (like washing machines) in your home without buying them. Instead you pay every time you use them. They are also connected to the internet, allowing Bundles to give relevant advice on how to use your appliance in an optimal way. - Hyko produces smart and interactive toys for children that make them aware of energy usage in their home and teaches them how to reduce the negative impact of our energy consumption on the planet . - miniPower buys used wind turbines that no longer receive governmental subsidies and reuses them to build new wind parks in locations in Europe with optimal (wind) conditions. - WeShareSolar lets you invest in large solar panel projects, when your own roof is not suitable for solar panels. 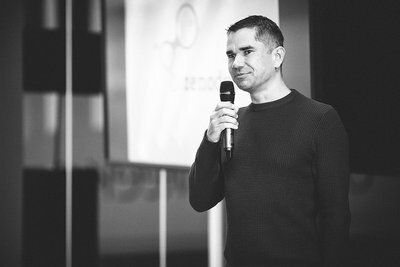 The first Rockstart Accelerator program launched in 2012 and so far Rockstart has accelerated 39 startups in four programs, 3 in the 'classic' category of Web & Mobile, one specfically focused on the smart energy industry. The second Smart Energy program is kicking off right now and we're currently selecting the startups for our next web & mobile program (start: February). To date 72% of our web/mobile startups have attracted funding from the likes of Greylock Partners, Balderton Capital, Vitulum Ventures and other renowned European and American angels (with a total of over 15 million euros). Rockstart Accelerator is part of Rockstart which helps startups to be more successful in their first 1,000 days through funding, housing, acceleration, events and more.